Obituary for Henry G Zimmerman | Drinkwine Family Mortuary, Inc.
On Thursday, 24 October 2018, Henry “Hank” Zimmerman passed away after living a rich, full life of 100 years. 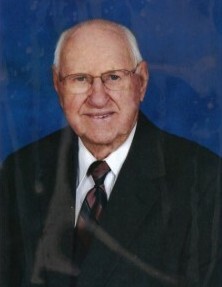 He is survived by a family who loved and treasured him: daughters Suzan and Kathy, sons-in-law Huck and Joe, grandchildren Cody, Abbi and Kelsey; their spouses Bri, Jeff and Dustin; great grandchildren Hank, Teagan, Liv, Jackson, Alli and Gage; brothers Ray and Ben, his sister in law Bernice and brother in law Dale and countless nieces, nephews and cousins. Those who proceeded him in death are Dottie, his adored wife; Ken, his treasured son; Calvin, his precious grandson; his sisters Mary, Martha, Rose and Florene; his brothers Vic and George; his brothers and sisters-in-law: George, ‘Zip,’ Wally, Hannah, Vi, Norma, Donna and Mary Ann. Hank came from strong stock. Five years before he was born, his parents, John George and Mary Elizabeth (Steinmark) fled Russia in 1913 with two small children. They were part of a large group of German people who sailed across the Atlantic on a cattle boat, entering the US by way of Galveston, Texas. Hank’s parents then traveled by train to Loveland, Colorado and shortly thereafter lost their infant son who had fallen ill during the voyage. 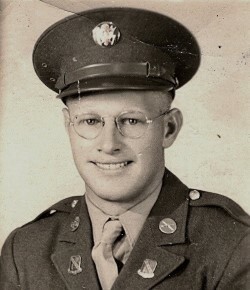 Hank’s dad was given a job by a farmer in Johnstown where Hank was born on 9 January 1918. All nine of the surviving Zimmerman kids worked in the beet fields with their parents—all while helping them to learn English so they could study for and obtain their US citizenship. When Hank was 19, he joined the Civilian Conservation Corps, building urban dams near Buckeye, Colorado. In 1940, he entered the Colorado National Guard after being told they would be the first to enter combat. He also wanted to be with his friends from Loveland who were joining at the same time. After a year in the Guard, he was placed in the 168th Field Artillery (US Army) and transferred to Santa Cruz, California. This base was in place to protect Monterey Bay from an attack by Japanese forces. While stationed there, Hank was chosen to be in a documentary showing how to maintain and repair a 155 mm rifle which was filmed at Paramount Studios in Hollywood. Hank later saw combat in New Guinea, at Hollandia Air Base and on Luzon Island in the Philippines. He held various jobs connected with loading, aiming and firing of the 155mm gun. He began as a Cannoneer, became an Ammunition Corporal, was promoted to Gunner Corporal, and finally Gun Sergeant. His service ended, and he was honorably discharged after four years on 31 October 1945. Shortly after arriving home, Hank moved to Denver and began his career with Spray’s Coffee company. It was there that he met the love of his life, Dottie, who was working there as a secretary. When the company held a dinner dance, he asked Dottie to go with him. 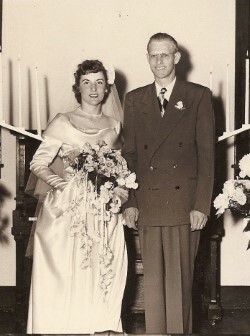 They were married on 5 June 1949. Hank and Dottie were blessed with three children: Kenny, Suzan and Kathy. Sadly, Kenny passed away in 1970. Sports was in Hank’s blood from an early age. In the late 1940’s through the early 1950’s, Hank was a pitcher on a few Denver-area AAA baseball teams. 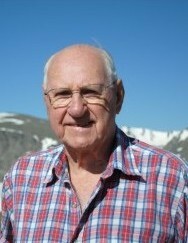 The family enjoyed trips to Colorado’s high country and Hank was never happier than while fishing on the Frying Pan River or near Reudi Reservoir and was at his most content while sitting in the Hot Springs Pool in Glenwood Springs. As an avid supporter of local sports teams, Hank and Dottie held season tickets for nearly 20 years to both the Colorado Buffaloes Football club and the Denver Broncos. Hank and Dottie attended several bowl games, attending every Fiesta and Orange bowl in which the Buffs played. Hank also was a huge fan of the Colorado Rockies and enjoyed watching them reach the playoffs this year. Dottie passed away in 2001 and though he missed her greatly, Hank continued to live a full life. He delighted in going on several cruises with his entire family to the Caribbean and Hawaii, became active in local seniors’ groups and continued to serve in several roles as a member of Trinity Lutheran Church. Hank spent the final three and a half years of his life living with his daughter Suzan. Please join his family in a celebration of Hank’s life on Tuesday, 30 October at Drinkwine Family Mortuary at 11:00 am. In lieu of flowers, donations may be made to the Cystic Fibrosis Foundation at https://www.cff.org/RockyMountain/ or at 400 South Colorado Boulevard, Suite 840, Denver, Colorado 80246.